On May 19-21, 2011 the Intermountain Section of ITE hosted its 51st Annual Meeting in Jackson, Wyoming. With attendance approaching 130, the Section was pleased with the turnout considering the tough economic climate. A strong technical program provided the foundation for the meeting and covered varying topics from innovative corridor improvements, project prioritization, roundabout guidelines, and automated wind controls. In addition, 15 vendors attended the meeting and added a strong marketplace component. The Thursday afternoon session is a relatively new addition to the Intermountain Section Meeting format, and is generally dedicated to a single topic. This year, we arranged for a panel session on “Doing More with Less.” The first half of the session focused on Advanced Traffic Management System (ATMS) applications and second half focused on improved signal time and management systems. Overall, the session provided a good introduction into strategies for system management and making the dollar go further during tough economic times. The Thursday afternoon program also consisted of a session for students and younger members entitled “Career Planning for Success,” which addressed topics such as the importance of good communication skills, licensure and certification, and participation in professional organizations. Notably, students from many of the student chapters within the section attended the meeting, bringing the total student attendance to 20. Joey Markuson (the Section’s Professional Liaison to the student chapters) organized and held the third annual student social following the Thursday technical sessions. Free pizza and beverages were provided and students were encouraged to mingle through a scavenger hunt game. Each attendee was tasked with finding someone in the room who had each of the items (iPhone, calculator, etc.) in their possession. The winners received iTunes gift cards. During the Friday business meeting, the Section received reports from the four member Chapters: Montana, Idaho, Nevada and Utah. Each of student chapters also provided reports. Significant contributions were made to the scholarship fund by the chapters, and the Section plans to contribute over $4,000 to the scholarship fund as a result of the donations and dues collection. Paul Eng-Wong, International Past President, provided insight into International ITE’s current operations and focus areas. Ken Ackeret, Western District International Director, provided a District report and Michael Sanderson, Past President, presented Pierre Jomini with a Presidential Proclamation for his many years of outstanding service to ITE and the profession. The Intermountain Section was also pleased to have International Vice President Candidates, Zaki Mustafa and Ray Davis attend the meeting. The business meeting finale is the announcement of the election results. The Friday afternoon Vendor Social was very well attended, as usual. This event allows attendees to mingle with each other while investigating the latest products available to the industry. A prize give-away marks the end of the Social. Congratulations to the winners of the coveted Intermountain Section ski jackets! The Section also presented the infamous Missing in Action Award. But since what happens in Jackson, stays in Jackson, we’ll keep that one to ourselves. 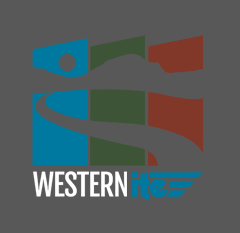 For those who have never been able to attend an Intermountain Section meeting, the event provides an excellent technical program, magnificent scenery and recreation opportunities, networking opportunities with some of the founders and leaders of our industry, and a laid-back, western attitude. Next year’s annual meeting is sure to be another you won’t want to miss. Leave your ties at home and join us May 10-12, 2012 as we continue to honor the traditions of the Intermountain Section.